If you’re a homeowner, you might be hearing everyone from neighbors to news anchors talking about refinancing. But should you do it too? People refinance to reach many different goals, but here are some of the more common ones. Rates may have dropped since you got your original mortgage. A lower rate can reduce the amount of interest you pay and lower your monthly payments. You can check today’s rates in seconds here. Your interest rate may increase significantly once the fixed period on your adjustable rate mortgage (ARM) ends. You may avoid this by refinancing from an ARM to a fixed-rate mortgage. If you can afford higher monthly payments, you could refinance into a shorter loan (such as from a 30-year fixed to a 15-year fixed) to pay off your mortgage faster and save thousands of dollars in interest payments over the life of the loan. A cash-out refinance allows you to use the equity you've built in your home to borrow money at a low cost. People often reinvest that cash out back into their home to make improvements that boost their home’s value. Lastly, you can refinance to consolidate other debts into a single, more affordable payment. This can be especially helpful if you have high-interest loans and debts like credit card debt, student loans, or a second mortgage. So what’s the verdict? 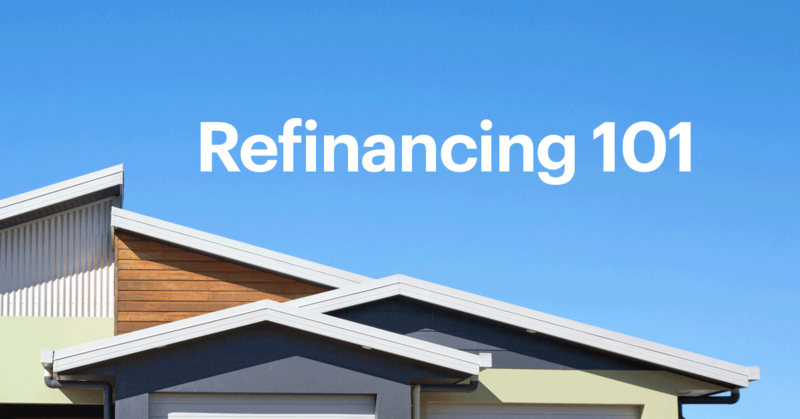 Is refinancing right for you? If you’re looking to get a better rate or term by refinancing, you should consider the break-even point: the length of time it will take for you to recoup the costs of refinancing. If you expect to remain in your current home beyond the break-even point, then it may be a good idea to refinance your mortgage. Otherwise, the upfront costs of refinancing won’t outweigh the potential long-term savings. If you only plan to keep the home for a few more years, you may want to consider a “no-cost" refinance, where you offset your closing costs by raising your refinance rate (i.e. taking credits). Doing so can help you reduce your interest rate and monthly payment with no out-of-pocket costs. For a cash-out/debt consolidation refinance, you should also compare the benefit of how you’ll be using the money you take from your equity and the added time (and interest) it may take to pay off the loan. We have a handy refinance calculator that makes it easy to see your break-even point and how much you can save by refinancing. Once you create an account with us, you can also create your own Loan Estimates to see the breakdown of all the costs associated with your refinance depending on which point or credit options you are considering. So long as your lender does not charge prepayment penalties or look for a “seasoning” period between your mortgages (establishing a certain time frame between appraisals), you can refinance as often and as soon as you would like. However, you should only refinance if it fits your personal financial situation and goals. We’re more than happy to help walk you through your refinance options and find the right choice for you. You can schedule a call with one of our non-commissioned Loan Consultants, or you can get started your refinance journey here.